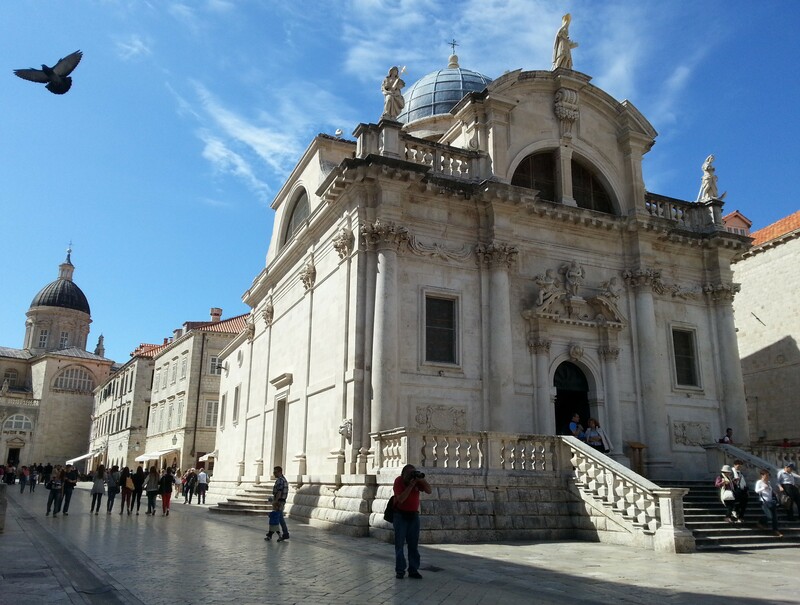 Dubrovnik is the starting point on our road trip through Balkan. As we have both been here before, it was mainly practical reasons that led us here this time. 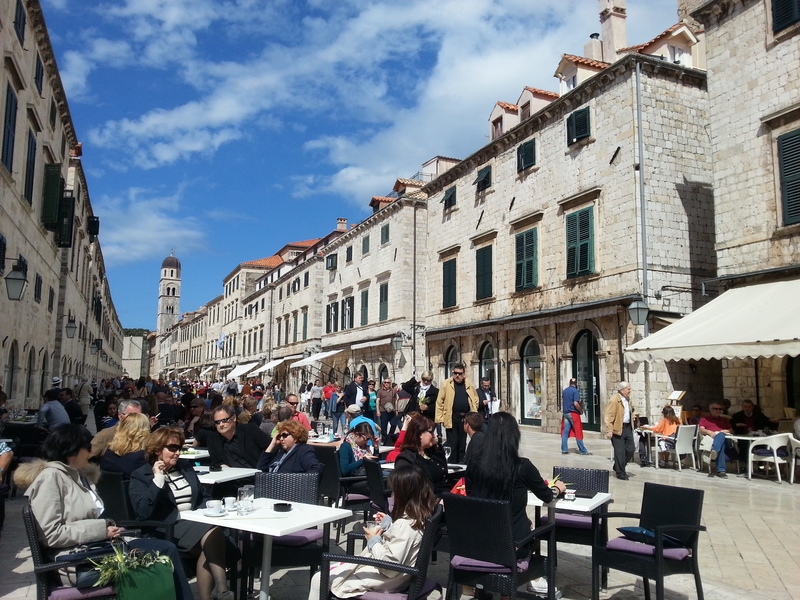 But I must admit that I never say no to an excuse to spend some time in Dubrovnik. It is simply one of the most beautiful city I have ever been. If you avoid the middle of the day when it usually is completely crowded, that is. Arriving in the evening and departing before noon solved that problem easily. For dinner we actual went to a Bosnian restaurant called Taj Mahal. I know, I usually really prefer to eat local food when I travel, but since we are travelling to so many different countries in the area, we thought we might just ad on a Bosnian experience as well. So then it became an Indian named Bosnian restaurant in Croatia! We had both eaten there some years back and were satisfied with the food, and we were not disappointed this time either. We stayed overnight at Hotel Villa Sigurata, a very nice place centrally located in the Old Town. The owner was super helpful and very kind. 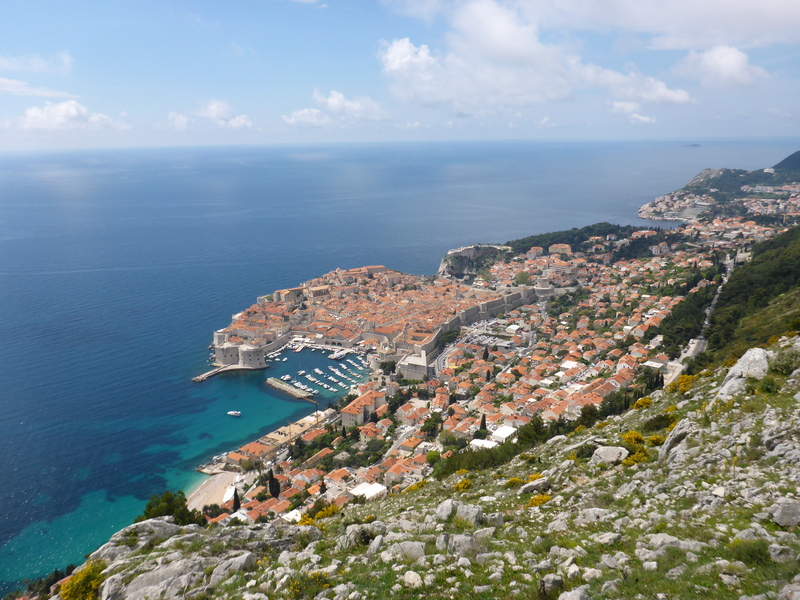 After we picked up the rental car, we drove up to the viewpoint to get the spectacular view of the Old Town and the surroundings. The road is quite narrow, and only allows one car most of the way, so be sure to stop at the designated meeting points when you see a car coming towards you. We were lucky not to meet too many cars, but I can only imagine the chaos during high season. But do not be intimidated, it is absolutely worth it!